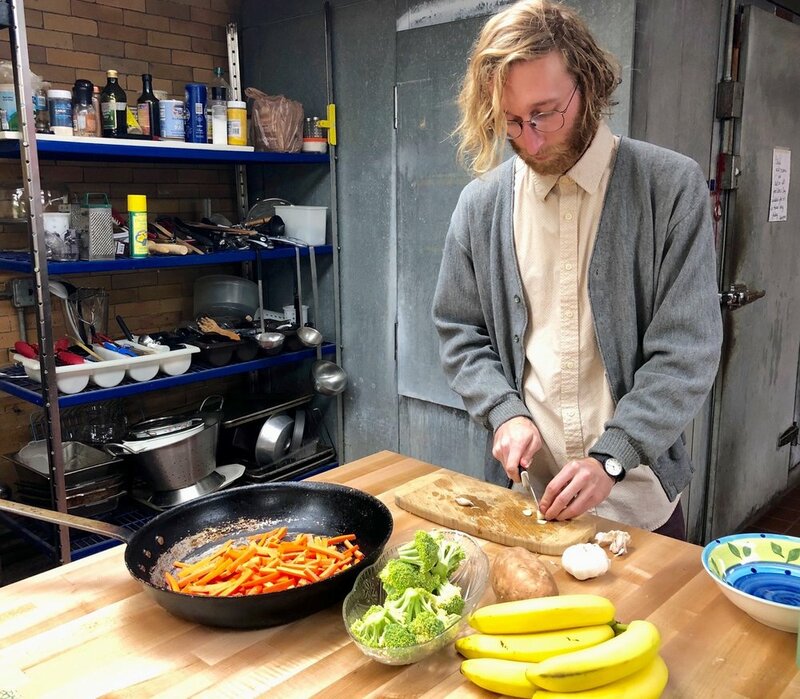 Detroit Waldorf School was so excited to welcome Ryan Gumbleton this fall as our new Extended Care & Break Camp Coordinator not only because of his outstanding background, but also for the his love of food and culinary skills! Everyday we hear from not only the students in Mr. Gumbleton's care, but also from parents just how delicious the healthful daily snacks he prepares are. In preparation for the upcoming winter holiday break we asked Mr. Gumbleton to share some of his "greatest hits" recipes, allowing students to continue enjoying their seasonal snacks all break long! Preheat oven to 375. Mix dry ingredients in a large bowl. Slowly mix in oil first and then water until a ball is formed. Sprinkle flour on a working surface and knead dough until it is a consistent texture. Roll dough on a greased pan until very thin. Lightly sauce the dough just enough to keep it moist. Cover your dough with minced garlic and shredded cheese and place in the over for about 15-20 minutes or until cheese begins to brown. Slice and serve! Soak beans overnight. Strain and rinse beans (You can save the water from the soaked beans for a natural dye! It makes a beautiful gray/lavender color). Bring 8 cups of water to a boil, add soaked beans to water and bring to a simmer. Simmer beans for about 50 minutes or until tender (Add salt, pepper and 1 clove minced garlic to beans after about 30 minutes of simmering). Peel sweet potatoes and chop all veggies and cook in a large pan with olive oil, season with salt and pepper until the sweets are tender. In a separate pot puff quinoa in 3 cups of water by simmering for about 10 minutes until almost all the water has been absorbed. Strain beans and add to the veggies along with the quinoa. Stir all ingredients and cook for 5 more minutes then serve! Wash and slice apples into 8 equal wedges. Slice those wedges in half to make the lips of your monster mouths! Spread sun butter in between the two slices making an apple "sandwich" and place either raisins, chocolate chips or marshmallows on the exposed sun butter to make the teeth of your monster mouth! Serve and enjoy!